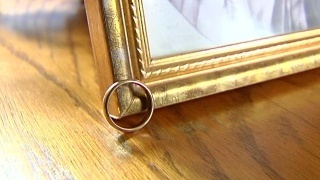 Forty years ago, Pearl Meck lost her wedding band down the shower drain. Even though her husband, Franklin, bought her a replacement but it didn’t feel the same as the one she received on her wedding day. Enter her granddaughter’s husband, Mike Caruso, and his trusty metal detector. While sweeping for potential finds in Pearl’s back yard he came upon the gold band buried by an old septic tank. The etching on the band – “FRM to PPK 11/8/52″ – gave away the owner’s identity immediately. Needless to say, Pearl was speechless when she saw the ring again.